then send in a Help Ticket if necessary. To confirm you are logged in properly press “My Favorites” on the home page. If you see your previous rides you are good to go. The most frequently given advice to solve the most commonly reported problem is to re-enter all your profile information including the password. SET UP PROFILE: Set it up before you place an order. A profile is not required, but it is highly recommended. If you prefer you can set up a profile without a credit card and pay in the cab at the end of the ride by swiping a card or with cash. We encourage you to set up a profile because certain features won’t work without one, for example, you can’t place an advance order. 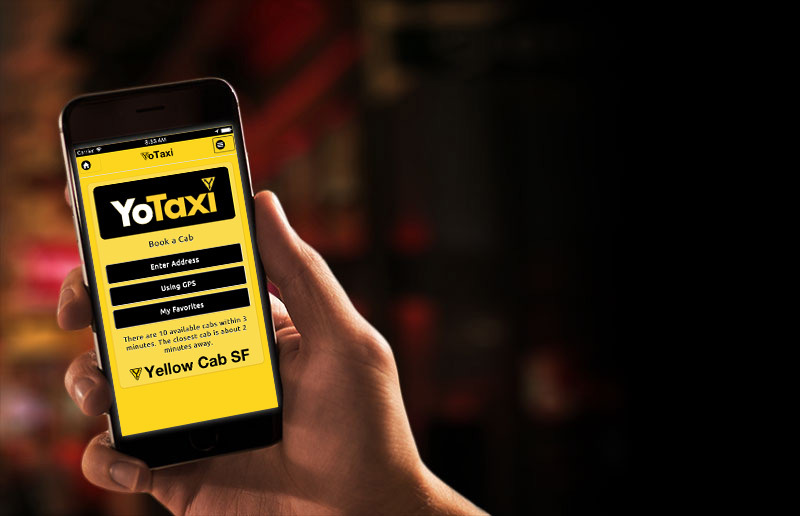 YoTaxi requires a valid ten-digit North American phone number. ENTER ADDRESS: When booking using Enter Address enter the numeric street address (50, not fifty) followed by the first couple of letters of the street name. Use alpha characters for street names (Fourth Street, not 4th Street). Don’t force an address. Pause and quick fill should complete the address for you. USING GPS: When booking Using GPS make sure your phone’s GPS is turned on overall as well as specifically for this app. Having Wifi on can also help. Using your favorites or entering a specific address will generally give better results that using GPS. GPS is inherently imprecise and San Francisco’s tall buildings contribute to GPS drift. YoTaxi will also work without GPS if you use the Enter Address booking option and don’t care to watch the Taxi come to you on the map. PENDING RIDES: To see your pending rides you need (1.) a profile set up in advance of placing the order (2.) to be logged in to your profile with the correct password and email and (3.) internet access. My Favorites: Favorites will appear automatically after you take the ride. If you don’t see your previous rides you are not logged in. 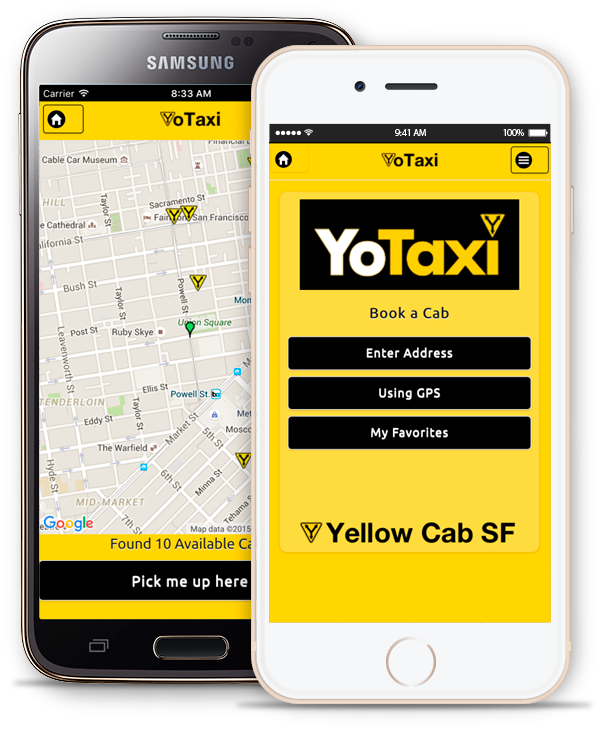 Are you running the LATEST VERSION of YoTaxi? Check with your app store. ACQUIRING GPS: This appears when there has been no GPS update in the last 5 seconds. Like any app, YoTaxi requires a GPS signal and sometimes a Wifi signal in order to operate certain features. If you are unable to get a GPS signal, try moving 10 to 20 feet from your current location. Many times this will solve the problem. YoTaxi will also work without GPS if you use the Enter Address booking option and don’t need to watch the Taxi come to you on the map. TOO EARLY TO DISPATCH: When tracking an advance order and it hasn’t been dispatched yet. Advance orders are usually dispatched no more than 10 minutes in advance. SEARCHING FOR AVAILABLE CABS: We’re looking for one for you. Hold on.